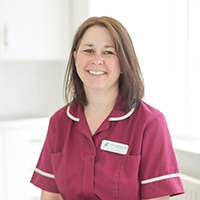 Karen started work at Three Rivers in January 2017 having previously worked as a Deputy Manager at a children’s nursery. They always say, never work with children or animals, she seems to have done both! Karen has 2 grown up children, a cat and a very lively Labrador. She enjoys reading and walking and loves to go out for good food and fine wine.